I keep making an effort daily because I have a lot of foreign customers use it at a remix Shinjuku store! In the divine protection or the foreign customer who is much recently, you seem to use it, it was! When it isn't possible according to the situation of the hair, a perm and the color are here, but a cut, shampoo, blow dry and a head spa are all right, so please take care. 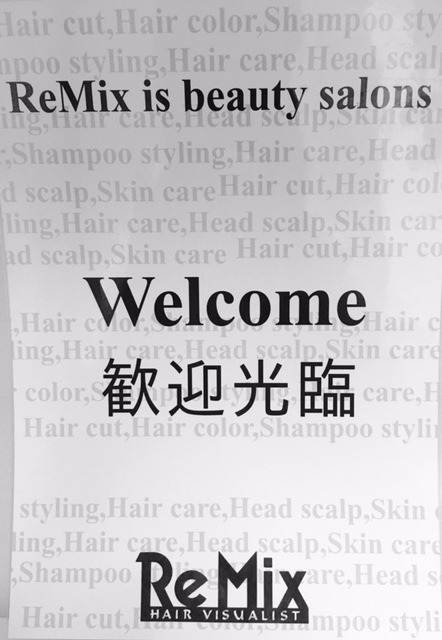 An effort is made so that it may be appreciated by everyone anytime, so please come to the remix Shinjuku store to play! Then I'm looking forward to being able to meet everyone.